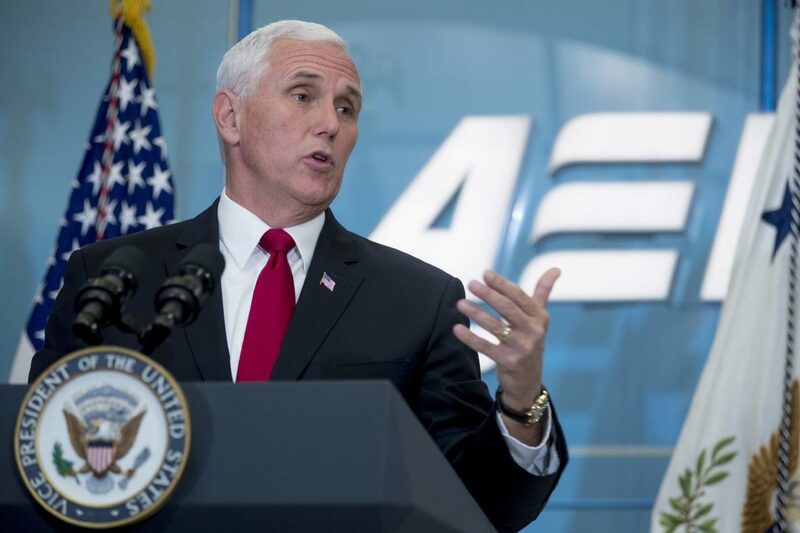 McALLEN — Vice President Mike Pence is scheduled to tour the U.S.-Mexico border in the Rio Grande Valley on Friday, according to four sources familiar with the plans. Pence intends to visit the area with Homeland Security Secretary Kirstjen Nielsen and Border Patrol RGV Sector Chief Manuel Padilla, sources said. If the Senate schedule aligns, Texas Republican Sens. John Cornyn and Ted Cruz could join Pence, according to sources. However, an aide said Tuesday that Cornyn is not scheduled to be in the Valley on Friday. There is a political luncheon in San Antonio on Friday featuring Pence, who’s then expected to fly Air Force 2 to McAllen-Miller International Airport, sources said. “Unless he changes his mind,” two sources cautioned. It is unclear if Pence plans to visit the Santa Ana National Wildlife Refuge, which could become the groundbreaking of President Donald Trump’s border wall. Vendors seeking to land a lucrative border wall construction contract were notified on Friday that they can start bidding on the contract this month. In that notification, Alamo, where the 2,088-acre refuge is located, was the listed “place of performance,” according to Federal Business Opportunities, a government website that posts federal contracts. A contract valued between $25 million and $100 million for construction of about 3 miles of levee wall system in the Valley will be awarded in May, the notice said. Nielsen, who took office in December 2017, toured the Valley during her first week on the job. She visited the refuge, which is where the wall would start, Padilla said after Nielsen departed on that December day. She also met with agents, as well as local law enforcement at the Border Patrol station in McAllen. That marked her second Valley visit of 2017. The first was two weeks after Trump took over the White House, when she toured the region with then-DHS Secretary John Kelly, who is now Trump’s chief of staff. Nielsen acknowledged the challenges in building a border wall, such as people who own land along the border. But she was committed to carrying out Trump’s campaign promise, hoping to ignite the wall process upon taking over DHS. When construction would begin, however, remained unclear.